There is no doubt that domestic cleaning in Fulham is more than just a regular chore; it demands a lot of spare time and effort. If you cannot devote that every single day, then you need some help. 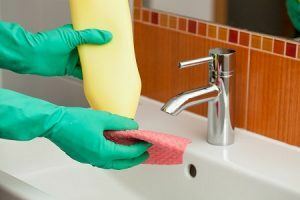 It can come from Top London Domestic Cleaners and our perfectly calibrated domestic cleaning service. We have worked for clients in Fulham for many years now and we are fully able to satisfy any home cleaning project in the area. We have acquired the necessary know-how and can now provide any client in the area with flawless service. Who is our domestic cleaning in Fulham for? At Top London Domestic Cleaners we are driven by the belief that everyone can use a good home clean. For this reason, we have developed our services in accordance with our clients’ needs and requirements. 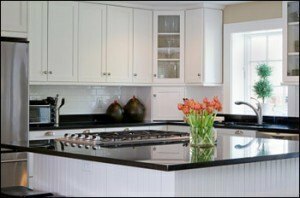 You can expect us to address the precise cleaning chores you wish and we will do so to the highest standard. We are confident that we can make quite the difference, as long as you hire our domestic cleaning service. You can do so easily on 020 3322 8143 or by filling an online form. Instead of wondering how to handle your domestic cleaning chores, you should be calling us on 020 3322 8143. You will be so relieved to discover your home in a perfectly clean state after one of our visits. And to think that you will not need to lift a finger to accomplish this! Isn’t it great? We urge you to contact us now and give our services a try. It is the only way to discover the usefulness of hiring domestic cleaners for you home. Fulham is one of the London areas situated in the south-west part of the capital. It falls entirely within the London Borough of Hammersmith and Fulham. The area sits on the north bank of the Thames and neighbours on the areas of Kensington and Chelsea and Hammersmith. The area has had a long history with aviation starting early 20th century. One more thing that Fulham is notable is its pubs and gastropubs. The oldest pub is the Lillie Langtry on Lillie Road, built in 1835. Fulham has a number of parks and open areas, the largest of which are Fulham Palace Gardens, Eel Brook Common, Parsons Green, Bishop’s Park and South Park. Fulham crosses by a few major roads, among which Fulham Palace Road, The Talgarth Road and Fulham Road. The area crosses the river at 4 road points and 2 rail points (Fulham Railway Bridge and Cremorne Bridge). Take advantage of our domestic cleaning in Fulham today by contacting Top London Domestic Cleaners on 020 3322 8143.